Need tabs for your next mailing? Waferseals.com has over 200 million tabs waiting to ship — clear, paper, poly, transparent. The long-time Official Mail Guide vendor is relied upon by the top direct mailers across the country. 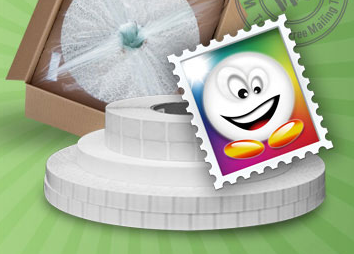 Waferseals.com mailing seals are compatible with all major tabbing machines and many wafer seals comply with USPS guidelines for booklets and folded self-mailers (FSM). Click for available tabbing options.